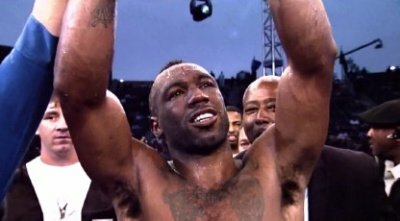 by Robert Jackson: A couple of years back this writer had been hearing the name Austin Trout a lot. Trout having begun his professional career in 2005 had went to Mexico 3 times and beat the local fighters, he’d also traveled to Canada and Panama to fight and win. A modern day road warrior you might say, Trout at that time hadn’t got much TV exposure and was a name without a face. Trout’s high profile win over Delvin Rodriguez this past June put a face and a boxing style with the name. During that fight it became apparent that Trout is a skillful and slippery – hard to hit fighter. Fighting out of the southpaw stance I couldn’t help but notice his fighting style was similar to that of former Heavyweight Champion Chris Byrd. His counterpunching and movement reminded me of Byrd. Trout also tends to feint and posture up like Bryd did in his heyday. With a 25-0, 14KO record WBA Champion Trout will be facing Miguel Cotto this coming Saturday night, experience-wise Cotto holds all the cards, but stylewise I think Trout’s style will be very difficult for Cotto.Trout’s length and craftyness may just be enough to keep Cotto at bay. In a close quarters fight Trout Loses, but if Trout is able to box using his reach and skill he’ll win by unanimous decision. You are here: Home / Boxing News / Cotto vs Trout: Austin Trout the 154lb version of Chris Byrd!